This isn’t a joke. I was actually in this meeting. There were eight people from four companies in the room. My answer at the time was four years. My standard answer has always been 2-5 years, depending on the industry. But that’s a big range. What is the average lifespan of a website? We took the top 200 marketing websites according to Alexa and looked them up in the Wayback Machine. We looked at the design and structure of each site over many years, and we determined the interval between major website redesigns for each site. 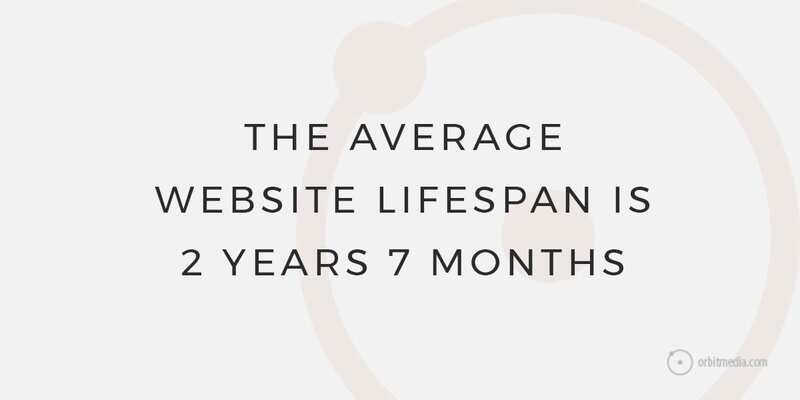 The average website lifespan is 2 years 7 months. Actually it was 2.66 years which is 2 years, 6 months and 27 days, but close enough. About this dataset: First, we were honored to find our own site on the list. You’re reading one of the top 200 marketing sites right now! Also, note that these sites tend to be medium to larger businesses with marketing-focused products and services. Surprised? We were. I expected the timeframe to be in the three to four year range. But ask any expert about website lifespan and I promise you they’ll all say the same thing: “it depends.” But what does it depend on? Let’s look at the reasons why a website lives a long happy life, or gets old fast. These are the main factors that determine how fast your site ages. Some are related to changes in your business. Others are about changes to the web and in visitors’ expectations. Ask yourself each of these questions counting yeses and nos. The more time you answered yes, the more likely your site is showing its age. Has the main message of my business evolved? Has my industry evolved? Are people in my business talking about things differently these days? Is my site keeping up with design trends? Modern sites tend to be streamlined into a single column layout. They present less information at each scroll depth, with larger images that often fill the screen. The trend is toward more video and more prominent calls to action. Is my site hard to update? Content management systems have improved. We should have higher expectations for easy updates. These days, it should be fast, free and easy to make most changes to the content on our websites. Have my rankings and search traffic declined? 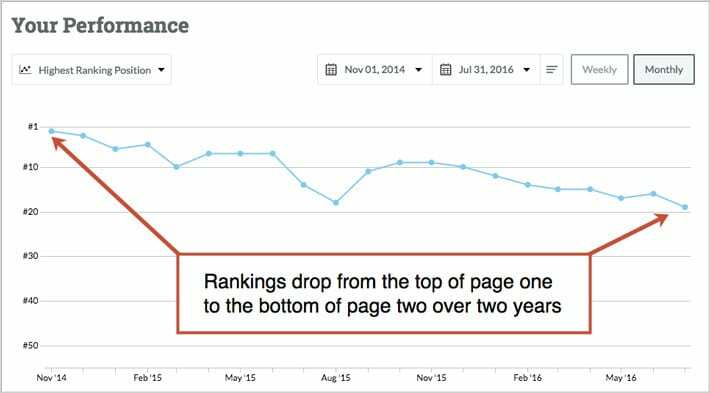 Unless you are actively promoting your website, rankings tend to decline over time. 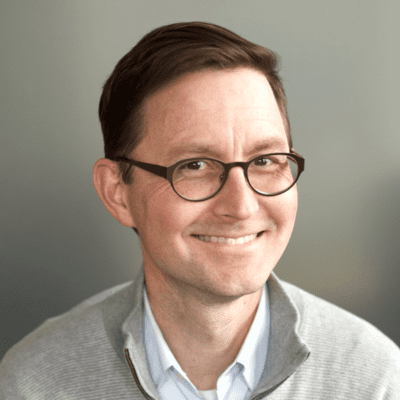 A redesign can reverse the trend of declining search traffic through a new keyphrase-focused sitemap, with new pages targeting new phrases. Is my conversion rate declining? Visitors’ expectations keep increasing, so unless your website keeps improving, conversion rates tend to decline. A redesign can reverse the aging process through a new, conversion optimized design that exceeds visitors expectations. Try this: pretend you are a potential lead or customer. Search for your product or services. Seriously, press pause on this blog post and go take a look! What did you see? Are their sites newer than yours? Your potential customers see those rankings and those websites many times every day. While you are reading this, at this very moment, someone is looking at those search results and those websites. Old and new in that context. It’s all relative. “Content Injections” Adding new writing, images or video can make a site look young again. It’s a smart move because these assets can be used in the eventual redesign down the road. “The Haircut” Trim the navigation by removing the links that people click on the least. You can find these links in the Navigation Summary for any page in the Behavior > Site Content > All Pages report in Google Analytics. “Nip and Tuck” Tighten up the design with a few style-sheet changes. Refining the type (snip snip) and tweaking the color palette (snip snip) can bring things up to date with your brand. “Face Lift” A homepage redesign will make the site seem fresh for new visitors. But it’s a temporary fix since big changes can put the homepage out of alignment with the rest of the site. “Page Enhancements” Like the face lift, add a new template layout that takes advantage of modern design trends. This targeted procedure can focus on trouble spots where aging is worst. Use the template on your highest traffic pages and top exit pages. Caution: If you’re planning a redesign within a year, don’t invest a lot in your current site. The value of any change is relative to the cost. 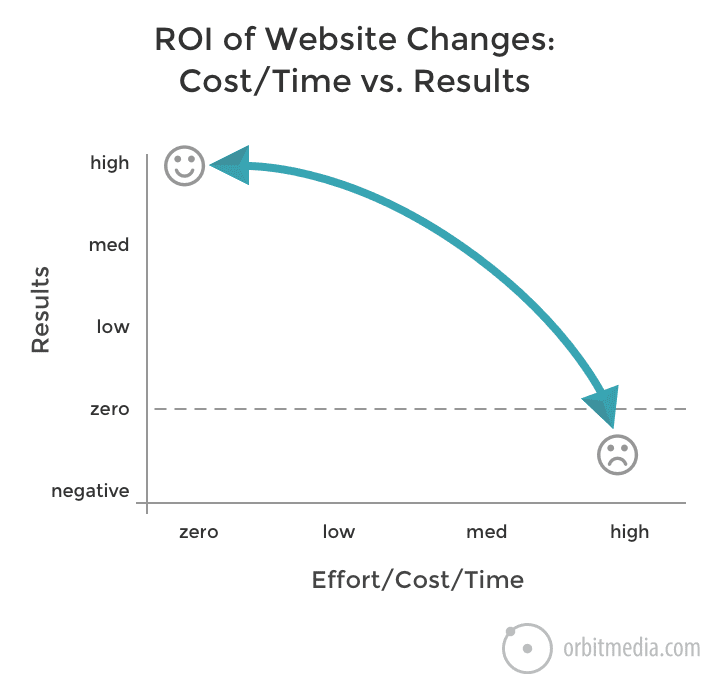 See our Guide for Prioritizing Website Changes for more info. Ever heard someone say this? They’re so embarrassed of their web design that they don’t want anyone to see it. They want to hide their most important marketing asset. At this stage, the website is actually hurting the business. This is the end. It’s time to pull the plug. When you, your business or your visitors change, your website ages. It’s old as soon as it’s out of sync with your business and is not getting you those measurable results. Keep it as young and fresh as possible, but be ready to make the tough decision to redesign. And when you do, think ahead as far as possible. Another fine post. You’re batting 1000. I’m really surprised by that. To me, it’s as if you spun these words out of pure gold. As always, valuable information! Bookmarked it for the future. Nice to see you here, Colleen. I hope all is well in CLE! Very interesting, thanks for sharing! We’re already doing the “Face Lift” (and had similar concerns about the homepage no longer matching the rest of the site), but the “Haircut” is definitely being considered for the future. Great article! Agree, agree, agree…but how do I show justification for spending money on the facelift? I like the beauty analogy in the tips – certainly as businesses evolve, the content has to evolve too, not necessary the whole code underneath. And I agree about the “please don’t look at our site” comments – Given the BOPIS and BORIS age we are in now, thoughts on one’s site should trigger a savvy small business or marketer to think creatively about how a site’s content aids the customers. It should set expectations. I have a crazy question – can you please finish the joke about the ‘web designer says…’ ? It seems perfect for my presentation but I can’t find the ending for it. thanks so much! When people ask me, I often say 3 years max for design and tech companies. 5 years max for companies in sleepy industries where things don’t change as often. Intervals can be shorter if the website is never touched post-launch. Intervals can be extended if the company keeps the content fresh and makes design enhancements along the way.